We are also a drop off location for this event. 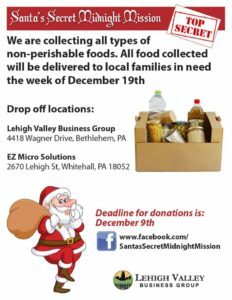 Please bring your can goods to the office- 3005 Brodhead Rd, Suite 182, Bethlehem, PA 18020. Let’s make this a great holiday season for everyone! It is that time of year again! 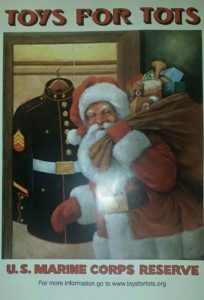 We are a drop off site for Toys for Tots. Please bring in your unwrapped toy(s)before December 6th. Let’s make this a happy holiday for all the children!